A lot of people move to a place like New York City for job opportunities. A lot more people move to places like New York, Boston or Chicago because of the city’s character. If you’ve ever been to New York, you know it’s not like any other place in the world. Each of these cities is known for its vivacity and uniqueness. Living in a big city comes at a big cost, so most people settle for spaces that are smaller than what they would like. Transforming furniture in your New York apartment can help you to maximize the space and create some unique interior decor. Loft beds take advantage of the vertical space, hoisting your bed up on a platform and opening up the space below it for items like a dresser, desk or couch. 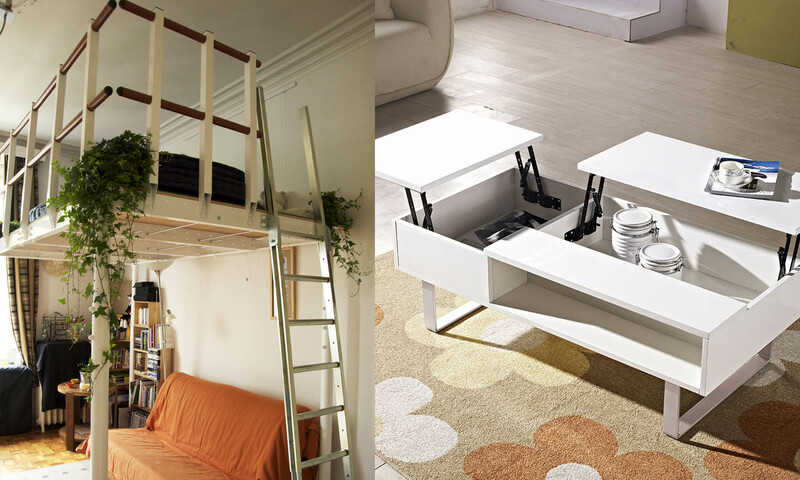 You can use a DIY loft bed kit to create a separate bedroom space in a studio without having to put up clunky dividers. You don’t have to use loft bed kits to host a bed. The platforms create the perfect space for a small study area or room for storage. There’s not another piece of furniture in your home that takes up as much space as your bed. If you don’t want to raise it up on a loft bed kit, consider folding it away when you are done with it. Forget about dowdy sofa beds. A Murphy sofa wall bed allows you to fold the bed up into the wall, where it is cleverly hidden inside what looks like a cabinet or entertainment center. 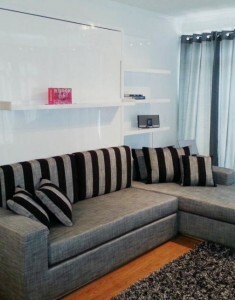 Murphy sofa wall beds also include a sofa. When you put the bed up, a sofa remains for entertaining. You don’t have to move the sofa when the bed comes down; it just rests on top of it. Murphy sofa wall beds are great conversation pieces, and they help you save a lot of space and money. Many wall beds also come as DIY kits, which appeals to the artistic and entrepreneurial vibe of many big cities. 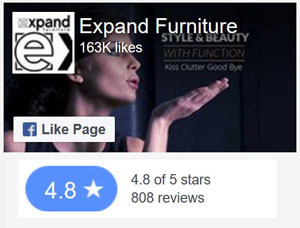 You may have an electronic gadget that can do just about anything, but you may think of your furniture as stationary wooden pieces. 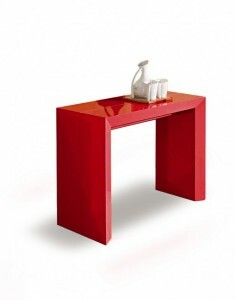 Transforming tables will make you think your home is just as high-tech as your handheld devices. Some tables transform from a simple side table or a small desk into a large, dining table that can seat up to 10. Some tables feature a platform that raises up. Other tables are pulled out to create a frame on which you place leaves to extend the surface. Furniture options like loft beds, Murphy sofa wall beds and space saving tables can help make even the smallest space feel downright luxurious. They also are interesting pieces that will create a unique look for your home. Your guests will be impressed by your decor, and you’ll love being able to express your own personal style. 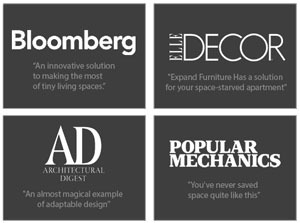 This space saving furniture also complements the environmental activism that these cities promote. When land is so scarce, it becomes very important to conserve space. This transforming furniture helps to save space and reduce the amount of resources needed to outfit your home. 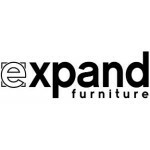 Expand Furniture has unique, space saving furniture that is perfect for your urban home, whether you live in New York, Chicago, Vancouver, Boston or another major city. 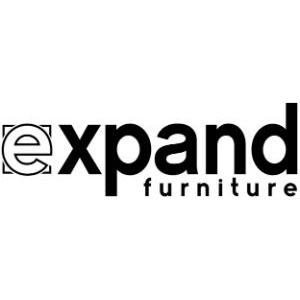 We carry loft beds, Murphy sofa wall beds, space saving tables and more. We carry pieces that are already assembled, as well as do-it-yourself kits. By purchasing one of the DIY kits, you can save a lot of money and get bragging rights for putting together your own furniture. Browse our catalog today to find just what you need to create the perfect look and make the best use of your space.